Type Breda There are 5 products. 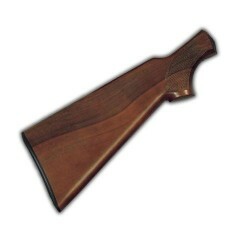 Pistol stock for shotgun type Breda model ASTRO, varnished and including recoil pad in bakelite. Made in Walnut wood dried 16%. Hole mm 220. The stock is available with a left or right curvature of 3,5 mm. Pistol stock for shotgun type Breda ALTAIR/BERETTA 302 RECUPERO DI GAS ga 12, varnished and including recoil pad in bakelite. Made in Walnut wood dried 16%. Hole mm 270. The stock is straight and the verticle drop at heel is made by the metal plate. The stock is available with a left or right curvature of 3,5 mm. 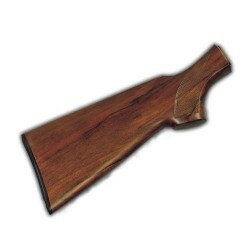 Pistol stock for shotgun type Breda model ARGUS Ga 20, varnished and including recoil pad in bakelite. Made in Walnut wood dried 16%. Hole mm 210. The stock is available with drop at heel 50, 55,60 mm. The stock is available with a left or right curvature of 3,5 mm. 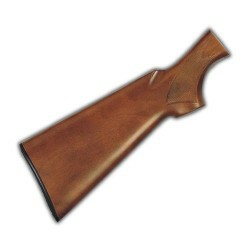 Pistol stock for shotgun type Breda ALTAIR/BERETTA 302 RECUPERO DI GAS Cal. 20, varnished and including recoil pad in bakelite. Made in Walnut wood dried 16%. Hole mm 270. The stock is straight and the verticle drop at heel is made by the metal plate. The stock is available with a left or right curvature of 3,5 mm.